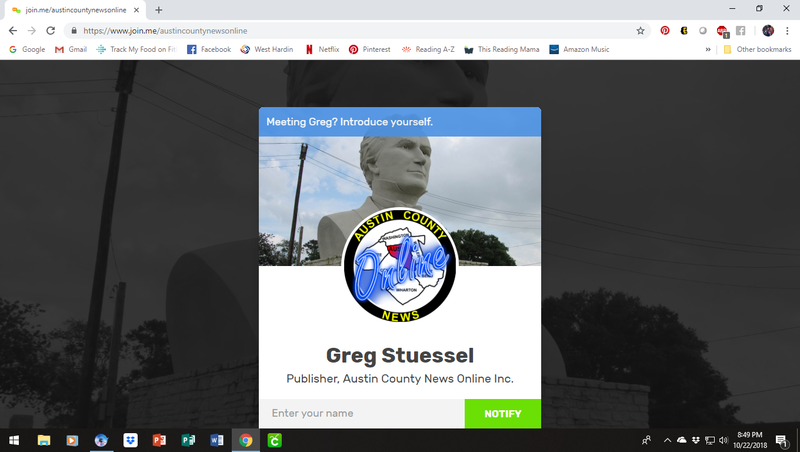 Austin County Media and Austin County News Online utilizes Join.Me to conduct online discussions, sales calls, virtually assist clients and conduct interviews. This is a service that we pay for so participants don’t have to worry about cost or registering for anything to use the service with us. The following page is a complete guide on how to use the conferencing software. Note, you can click any of the images below for a larger view of them. 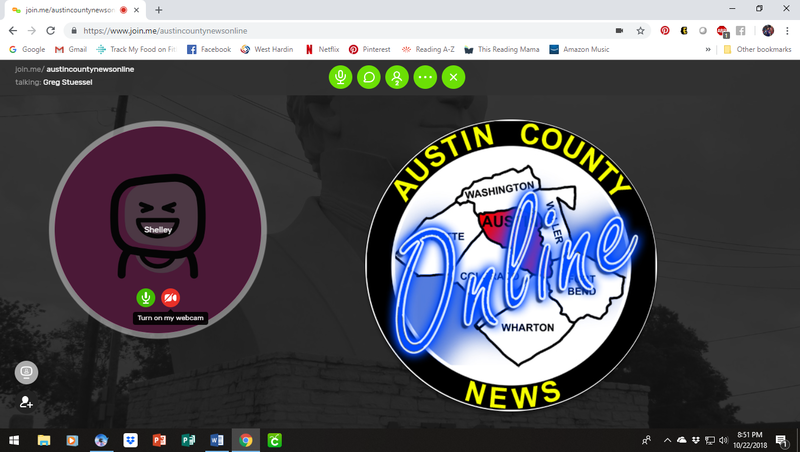 You can also click any of the buttons below to jump to that specific section of the page. When you get to the website, and the host (us) is already in the virtual conference room, you should see a screen similar to this. Now put your name in the “Enter Your Name” area/box. Then click “Join”. You will then be brought into the digital conference room. A box will pop up asking you to select how others in the conference will be able to hear and/or see you. If you have a webcam, then select the “computer” button. If you do NOT have a webcam, select the “phone” button. 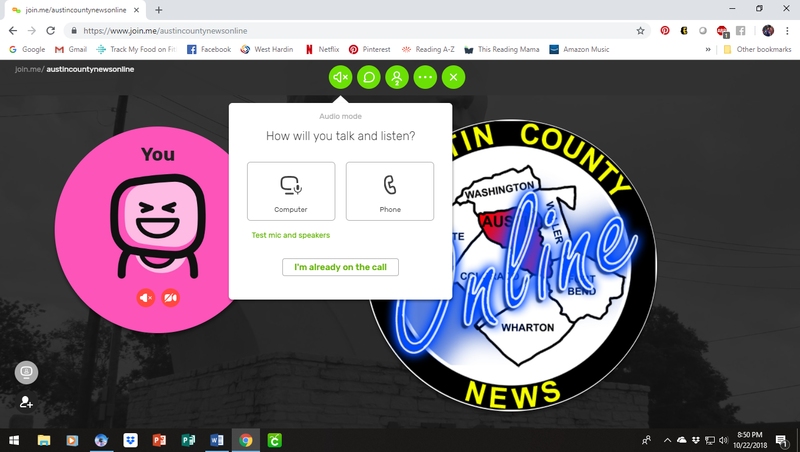 If you select “phone”, you will be given a toll free number to call and your call will be placed in the conference allowing you to talk to the other participants via the phone. 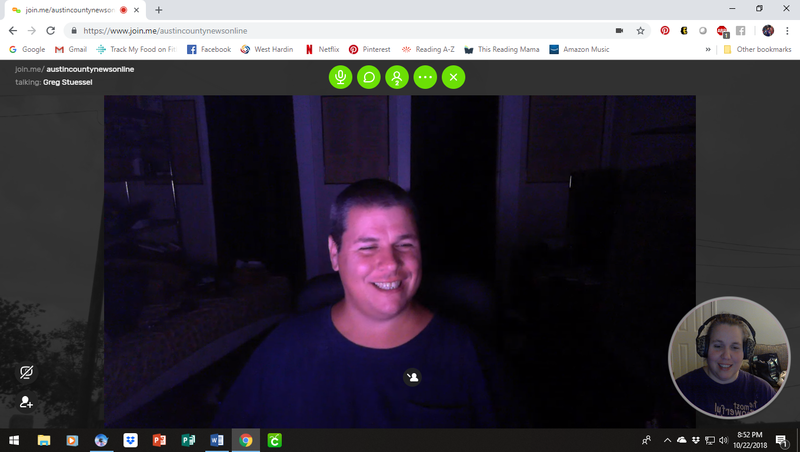 Once you select how others will be able to talk to you, you will then be prompted to turn on your webcam (if you have one). 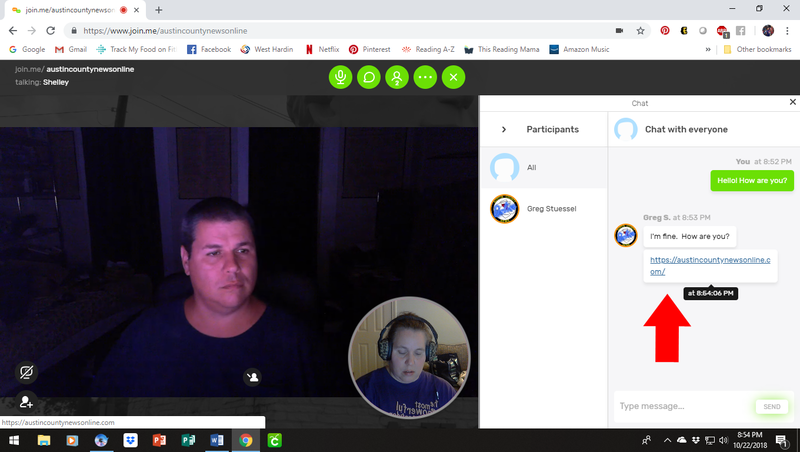 If you do not have a webcam, then other participants will see you as a caricature. This is what it will look like when you webcam is first turning on. 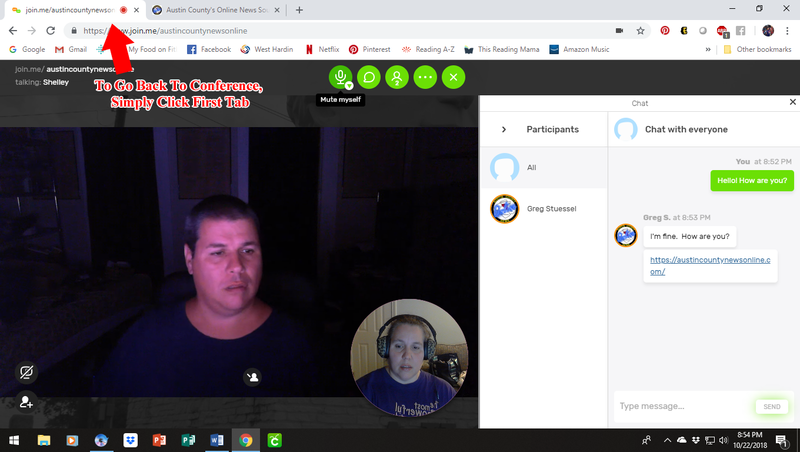 You will now see a screenshot of what the conference will look like. You are in the bubble and the host of the conference is in the main screen. If there are more people in the conference, they will appear along the outside in their own bubble(s). And that’s it. You can now begin discussing with others in the conference. There are five green buttons at the top of the screen that allow you complete control of your conference call. Below we will go over the buttons and how to use them. If you want to mute yourself from others, click on the microphone button and it will turn red with a line through it showing that you are muted from others in the conference call being able to hear you. 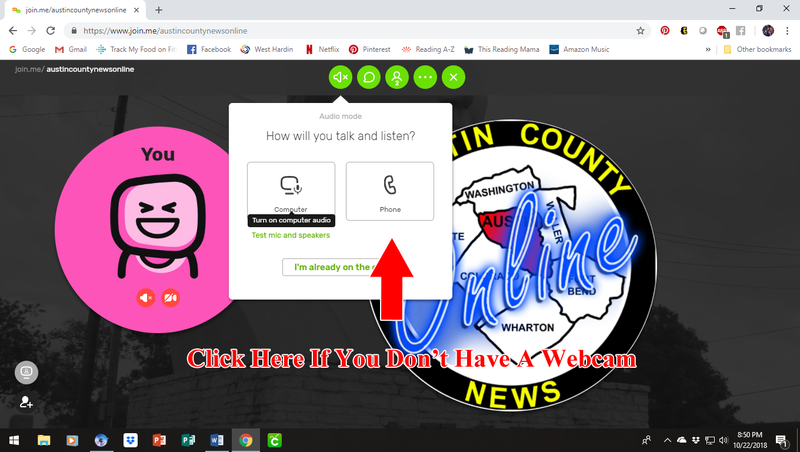 If you would like to chat, send text, or web links to other participants in the conference you can click the “chat” bubble and a typing box will appear. … as the conversation progresses. 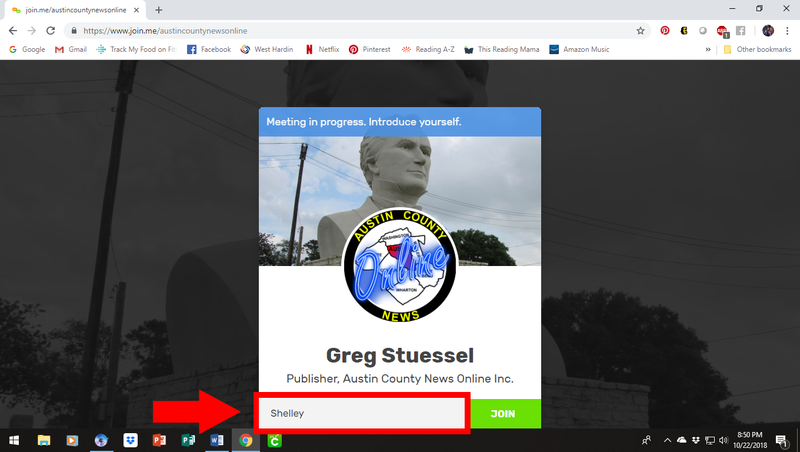 You can even share clickable web links directly with those in the conference. Simply click on the link and you will be taken directly to the page. 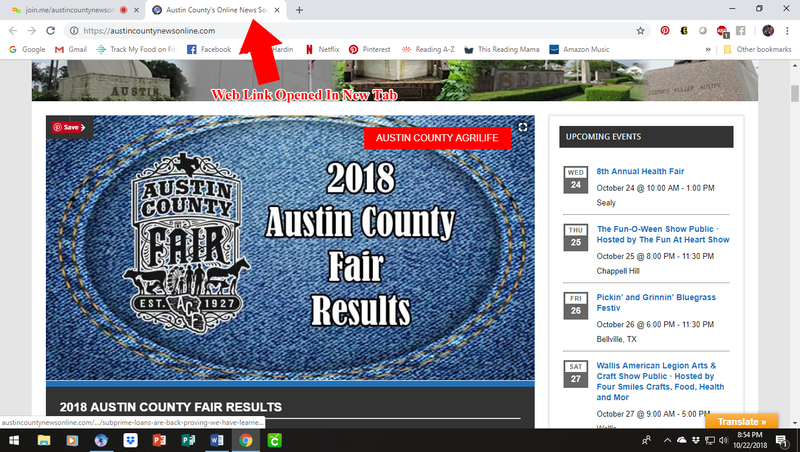 The linked page will pop up in a separate tab. Your chat tab remains open so that you can go back and forth. Notice that if you click back on the chat tab that the linked page remains open in the other tab. The middle button shows you how many participants are in the conference, allows you to hide your bubble by selecting “Hide bubbles while sharing”, and allows you to invite someone else to the conference.